Following the July 24 massacre of dozens of elephants in southwestern Chad, President Idriss Deby Itno sent helicopters to the Mayo Lemie – Chari Baguiri area to catch the poachers, according to Stephanie Vergniault, president of SOS Elephants, a wildlife NGO. President Deby also gave orders to check all the country’s exit points for both the poachers and smuggled ivory. Reputedly, President Deby is personally concerned about elephant poaching and was unhappy to learn of last week’s incident. The poaching incident occurred while Deby was in Congo (Brazzaville) for the 11th Heads of State Summit of the Central African Economic and Monetary Community (CEMAC). The President’s action followed international reporting on the incident. Mongabay.com broke the story on July 26. Following this, Chad’s Minister of Environment and Fisheries Resources, Mr. Mahamat Bashir Okormi, issued a statement on July 27 saying that a group of poachers was operating around the cities of Massenya, Bug-Moro and Guélendeng and asking for "the cooperation of the people to facilitate their arrest." 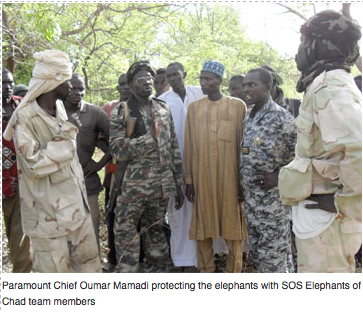 According to Vergniault of SOS Elephants, the initial effort by government troops was unsuccessful since the poachers were likely camping deep in the bush and were supported by a local well-organized syndicate. She said the local ivory smuggling group uses "cars with tinted glasses with no numbers on their cars to supply the poachers with weapons and food." As a result, the poachers "do not necessarily need to go to the local villages to buy what they need" and are thus difficult to find. While many Chadians may know about the ivory trafficking, Vergniault says "they are so afraid to lose their life that their shut their mouth." Earlier this week, according to Vergniault, President Deby sent 200 soldiers in two helicopters and 15 pickup trucks to patrol the area. He also sent investigators to search for information around Zakouma National Park, presumably to ascertain if there might be a connection between the poachers operating there, who are said to be from the Janjaweed militia, and those operating into the Mayo Lemie and Chari Baguirmi region. 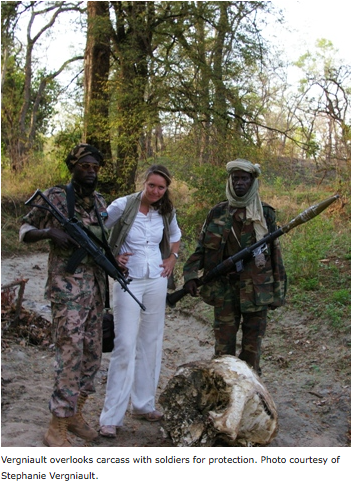 The President’s involvement made Vergniault more optimistic that the poachers will be apprehended. "I really believe he will catch some poachers soon," she said. SOS Elephants is calling for the establishment of a permanent Mobile Brigade for the Protection of Wildlife and a security cordon around the area where the massacre occurred or establishment of a formal protected area in the Chari-Baguirmi-Mayo- Lemié area. SOS Elephants, with its camp in the area, monitors the region. 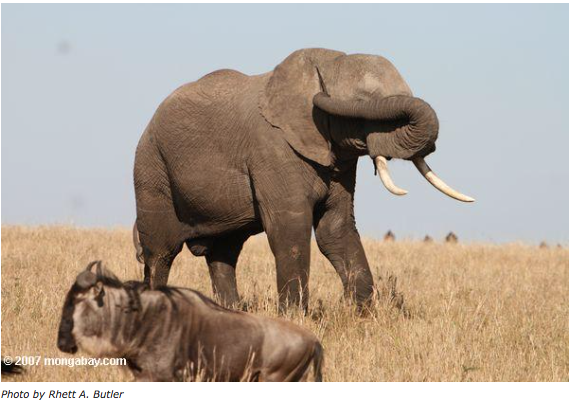 This week it reported that the elephant herds that had been chased by poachers have now "crossed the river [and] are again nearby our camp and apparently they are looking for protection." UPDATE Editor's note: On August 4, there were unconfirmed reports of more poaching, with several dead elephants found near Baguirmi. Details are still emerging.